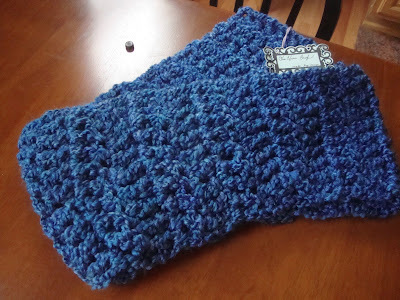 A few days ago, I received a beautiful blue scarf in the mail from Amy's company, One Warm Scarf. 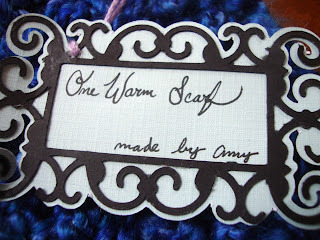 Amy is just starting her own business selling homemade scarves which you can check out here. 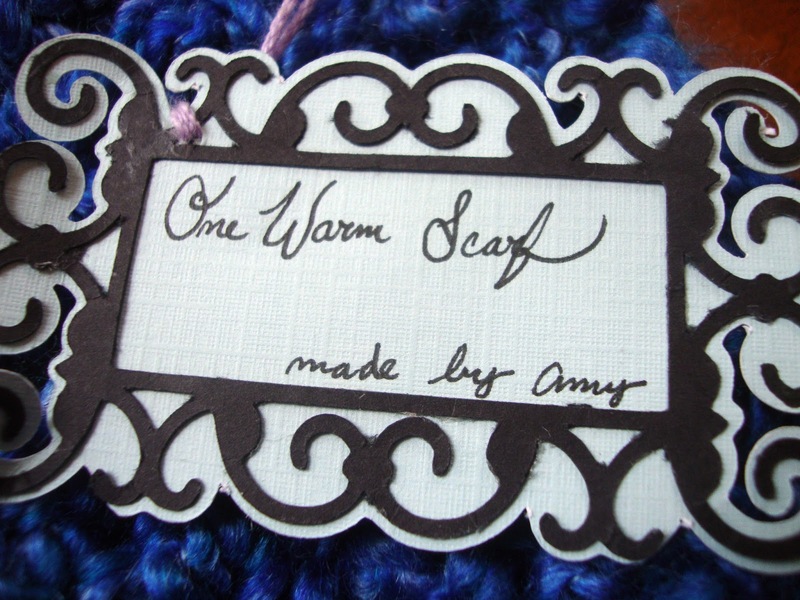 Amy started making scarves at age 10 and has been improving her technique ever since! The idea behind her company is to make her scarf that one scarf you will ever need! Her scarves come in an array of colors ranging from your simple grays, to your bold blues, and even bright pinks. 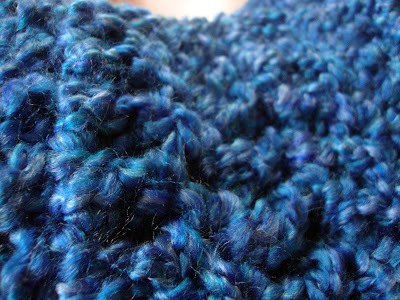 The yarn that I chose for my scarf is Montana Sky. 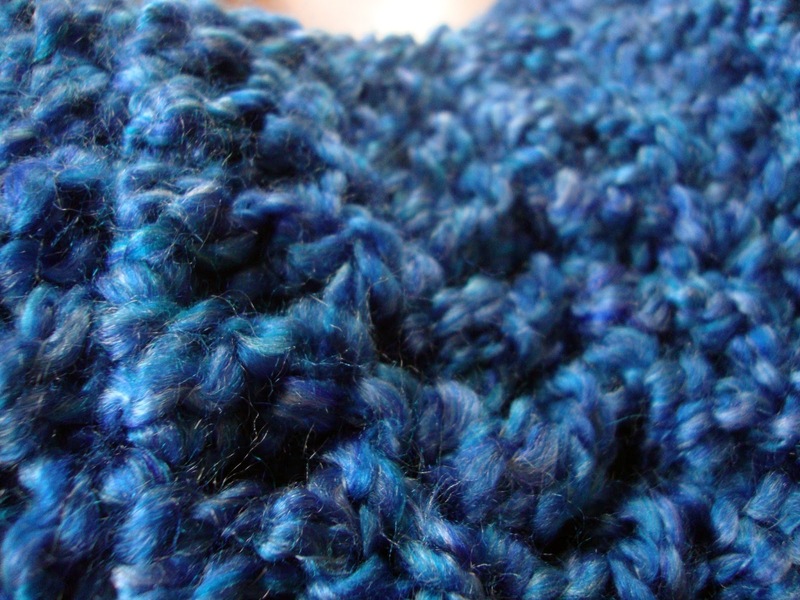 This color is a gorgeous mix of deep and medium blues. Just like it's name, the color reminds me of a sky. When I got my scarf in the mail, I opened it and immediately fell in love! The first thing that stood out was the color. Montana Sky is a wonderful color and does not disappoint for anyone looking for a rich blue. Upon picking up the scarf, I noticed how soft and warm it was. The softness blew me away and when I wrapped it around my neck, I noticed how comfortable and cozy it was. Right away, I could see this scarf as my stylish weapon against the winter winds we have been having lately! One thing that shocked me was how long the scarf was and the great quality it was in. Most of the scarves I own are quite short and easily rip with a few wears. Honestly, they last me only a season or two due to the thinness of the fabric. One Warm Scarf provided a scarf that was not only twice the length of your typical scarf, but also with quality that you don't find in an average scarf. Scarves, in my opinion, are the best accessories winter. They not only serve as a fashion piece, but also a way to stay warm. They add a pop of color to any outfit. For my scarf that I received, I chose to style it this way. I wanted to keep the focus on the scarf (which wasn't hard to do since the color is so bright) I paired the scarf with a pair of jeans, a cami, and a black cardigan. I chose to use a blue and white stripped cami to keep the theme of blue going on here. To top things off, I wore a pair of light brown boots. Are you guys a fan of scarves? such a beautiful scarf. I just started to get in to scarf a few years ago. Thank you! Scarves are so much fun once you start wearing them! That scarf looks great! I love the color! Thank you! The color is really nice! I love your scarf!!! so pretty! I love scarves, and I love your scarf. Cute outfit!! Thank you! it is super fuzzy! 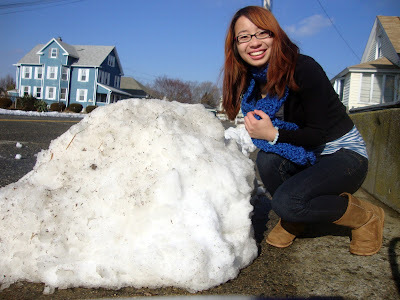 Cute knit scarf you got there :) I love snowy road !! thank you! Snow is so much fun to play in! Check out and follow my blog? wow! It look so warm!! have you done it? Thank you and sure we can do that! Thank you and yes I would love to follow you! That is a lovely scarf. How much is it if I may ask? ~35 dollars! It is worth it!